Tommy Winborne tees off on the par-four 10th hole on Thursday afternoon at Cliffside Golf Course. 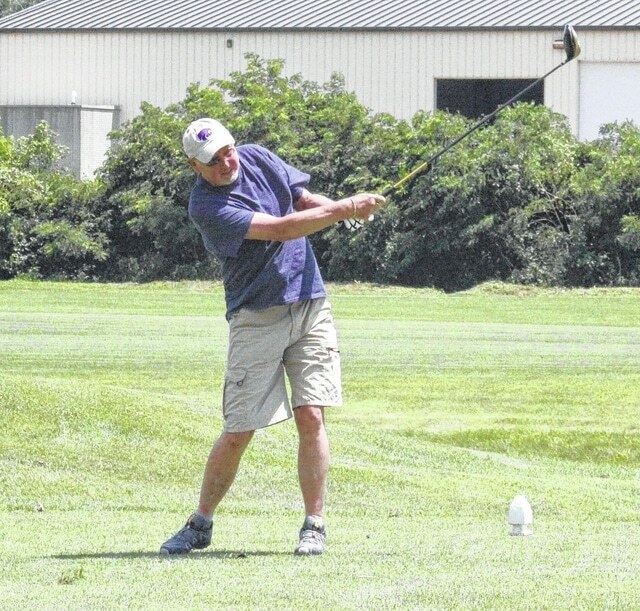 GALLIPOLIS, Ohio — Golfers returned to Cliffside on Thursday, after flooding forced the course to close down all operation for two days. Over half of Cliffside’s 18-hole course was covered by water, with the deepest area over the second and 14th holes. Gallipolis, which averages around four inches of rain every July, had more than two inches of rain fall on Tuesday alone. More thunderstorms are forecasted over the next several days, which could mean more issues for Cliffside. Cliffside, which opened in 1988 and is Gallia County’s only golf course, serves as the home course to Gallia Academy, River Valley and South Gallia’s high school golf teams.